Olney doc muses: What's wrong with me? 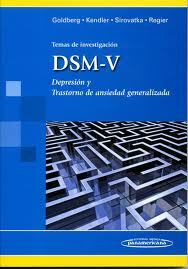 Next week sees the publication of the 5th edition of the DSM (aka The Diagnostic and Statistical Manaul of the American Psychiatric Association!!). Apparently there are now 347 differing psychiatric diagnoses. It seems there's something wrong with all of us. "Most boring book ever written"
Professor Simon Wesley from the Institute of Psychiatry in London is skeptical of its value and suspects that even the head of the DSM would not be able to name half the supposed diagnoses (indeed he calls it the most boring book ever written). It seems that in the American context at least, until you have a named diagnosis, medical insurance will not pay for treatment by a psychiatrist or therapist. Hence the need to find diagnostic labels. This has prompted ongoing debate about the medicalisation of normality, so that shyness is now social phobia and normal grief is classed as a depressive illness etc. I lie somewhere in the middle of this debate, since in practice I see the benefit of the traditional medical model being applied to mental illness. So that having reached a diagnosis, a treatment plan appropriate to that patient and their diagnosis, can be formulated for that them. And this may well include prescription medication. However I also recognise the complexity of human beings, with all the various differing influences placed upon us. These range from our genetics, to our learned and copied behaviour, the slings and arrows of outrageous fortune, and much in between. Neat categorisations are not appropriate, and in this sense much of psychiatry is merely descriptive of constellations of symptoms with the blurring of boundaries between one diagnosis and another. In the Christian understanding there is one fundamental diagnosis, but a myriad of presentations and symptoms. Underlying all our frustrations, relational difficulties, disappointments and much more beside, lies the single diagnosis of sin. This is the inherited bias within all of us which resists the loving rule of the God who made us. Oh yes there are plenty of other 'secondary causes' along the way, and much of psychiatry and counselling aims to alleviate them. But the root remains. Only by recognising in penitence God's mercy for you will you yourself then also be capable of forgiveness.